"Speeding up your start up and shutdown time is a breeze." This article will help you to manipulate your windows start-up time, internet confirmation and shutdown times. Some performance improvement tips will also be included. What are the most common cause of a lengthy boot? 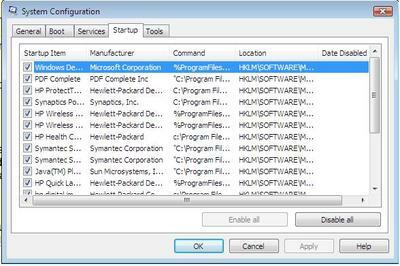 Many of the programs you install to your computer will leave files in your Startup folder and automatically set themselves to automatic updating on installation. This action may occur at the start or the shutdown of windows when programs and saving data permanently or loading already saved data to memory. Automatic updating may actually increase your boot time by 6 to 60 seconds, and even more, depending on what you've installed. By default, the more programs you install to your computer, the longer it will take your system to boot up. 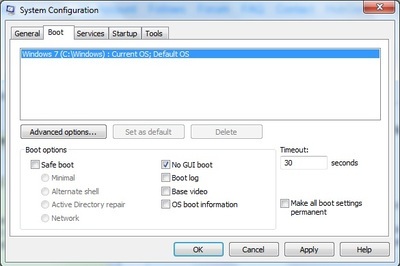 Each installed program can possibly add from 6-8 seconds or even 10-14 seconds to your boot time. The other boot time factor mentioned has to do with finding the most suitable antivirus program. You may need to experiment with at least two of the top free antiviruses in order to see which has the least impact on your boot time, while maintaining an acceptable level of system protection. Steps to decreasing your boot time. 1. Press the WinKey and the letter ’R’ simultaneously which will bring up the Run command. 2. From there, type ‘msconfig’ into the box and press enter. 3. A pop up box will emerge which will allow you to make some changes that will affect your boot time. 5. Check "No GUI Boot". This action will shave off seconds from your boot time by getting rid of the graphical moving bar during start-up. The disadvantage of doing this however, is that you won't be able to tell if your system is frozen during start-up. 3. A pop up box will emerge. 5. 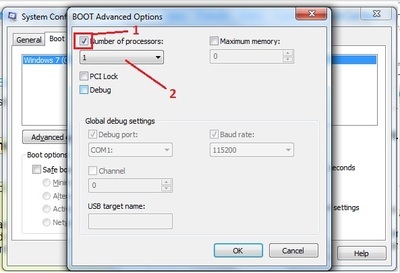 Choose the Advanced options and select 2 for the number of processors, providing that this option is available on your computer. 6. Click on OK then Apply, then agree to restart your computer. 2. From there, type ‘services.msc’ into the run box and press enter. Some of these services are the cause of a slow start up. Additionally, some are standard to a wide variety of computer systems, and are never used on most computers. You however need to carefully determine which services need to be running and which you can afford to disable or stop. 3. Once you double click on any of the listed service you will be provided with a popup dialogue box to determine the importance of the services as well as provide you with manipulable properties. There may be other services that you could disable, however this has to be done one service at a time. 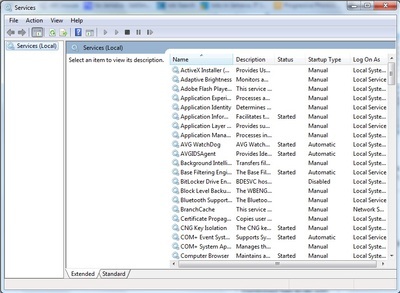 Many computer programs, during the installation process, embed files within the Startup folder that run behind the scenes. Some of these include Skype, MS Office, and Utorrent to name a few. 2. 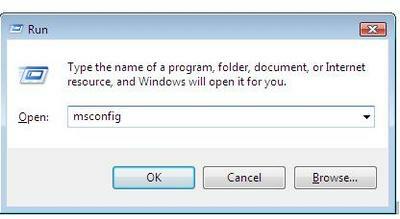 Type ‘msconfig’ and click OK.
4. Examine the programs in the Startup pane. 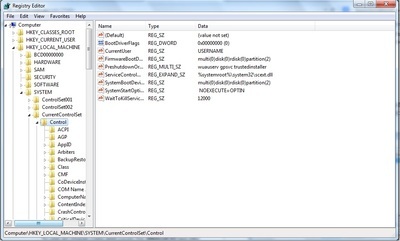 Select the programs that are necessary to run at the startup of the computer. Avoid disabling Antivirus programs and system software (Such as a touchpad driver). NB. With the exception of antivirus programs, if a program can be started by selecting it, then it really does not need to be in the Startup folder. This will only serve to increase the boot time. 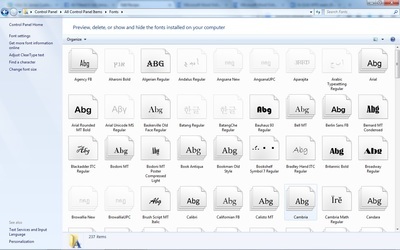 There are over 700 fonts installed within the Windows 7 operating system. These fonts consume as much as 500 MB. You may only use three of these fonts throughout the course of your computer's lifetime. Each of these fonts are loaded at startup and help to increase the boot time. In addition, Windows will monitor them throughout the operation of the computer. This certainly helps to slow down the operating system on a whole. 3. Fonts. Select the fonts that you don't use. NB. Windows will alert as to which fonts cannot be deleted. These are the ones that appear as a pale water mark. Warning: This process is not reversible. 2. Type ‘services.msc’ and click OK.
3. 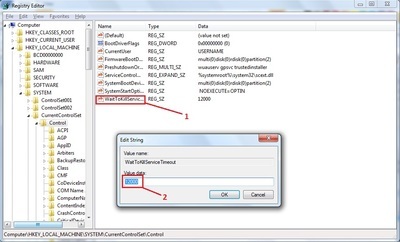 Double click and disable the Workstation service. WARNING: This tweak is should be avoided if your system is a part of a network or workstation environment as it will affect the environment itself. Your Windows 7 operating system allows you to adjust the duration of your shutdown time. Inclusive in this time are operations that involve the saving of data and various system settings. 2. Type ‘Regedit’ and click OK.
7. Locate and double click on "WaitToKillServiceTimeOut". It is possible to set the value from 2 to 20000. The value represents the shutdown time in milliseconds. Choose a small enough value within this range. With the exception of the step to delete fonts, all other the tweaks are reversible. 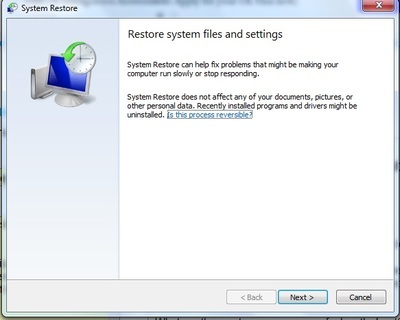 In the case where you may have disabled a vital service and are unsure as to which one it was, you may simply do a system restore to undo the changes that you made. 2. Type ‘Rstrui.exe’ and click OK.
3. When the system restore window pops up click "Next". 4. 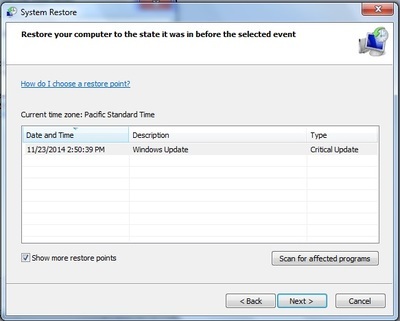 Select the date/time you would like the computer to be restored to, then select next. 6. The restoration process will begin and your computer will restart. If you could have been born with a sixth sense, what would you have chosen it to be? Which of your character traits have you seen being displayed by your children?